Chaitra Navratri is a festival of venerating and extolling Goddess Durga which is commemorated in several parts of the Indian subcontinent. The fourth day of Navratri falls on 31st of March 2017. On this day, Goddess Kushmanda the fourth manifestation of Goddess Durga is worshipped. It is believed that if Goddess Kushmanda is not reverenced with the required rituals and in the auspicious time then the devotees do not receive the fruitful results of their worship. So, we at MyKundali have come up with all the relevant information regarding the importance of 4th day of Chaitra Navratri festival and the Puja Muhurat. Note: The above timing of the Muhurat is according to New Delhi. Get to know the Muhurat and Puja Vidhi according to your city. Out of all the nine manifestations of Goddess Durga, Goddess Kushmanda is the fourth manifestation. She is also believed to be a form of Goddess Parvati. If we ponder over the literal meaning of the name of Goddess Kushmanda, then it can be inferred that ‘Ku’ means small, ‘Ushma’ means energy and ‘Anda’ means oval. So, it is surmised that Goddess Durga gave the genesis of the universe to be oval shaped and this is the reason she is known by the name Goddess Kushmanda. How you can seek the blessings of Goddess Kushmanda? According to the Vedic Astrology, Goddess Kushmanda ushers Lord Sun. Hence, worshiping Goddess Kushmanda helps in removing the Surya Dosha from the Kundali. 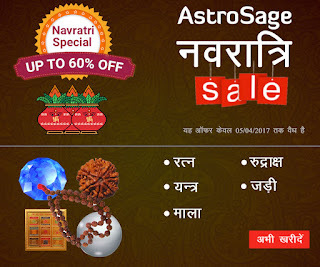 We, at AstroSage wish that Goddess Kushmanda showers blessings upon you and brings prosperity in your life this Chaitra Navratri 2017.